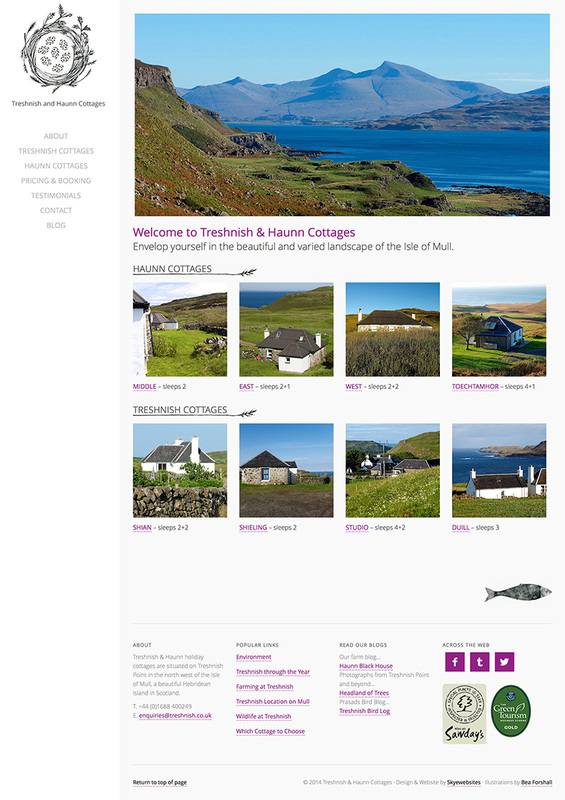 We designed a website for multi holiday property business ,Treshnish & Haunn Cottages, based on the Isle of Mull. The design was inspired by the fabulous photographs owner Carolyne Charrington provided and illustrations by Bea Forshall. Digital Agency for local, rural and regional businesses, with worldwide experience. Based on the Isle of Skye in the Highlands of Scotland. 2 Skinidin, Dunvegan, Isle of Skye. Designed & Distilled on the Isle of Skye, in the Highlands of Scotland.